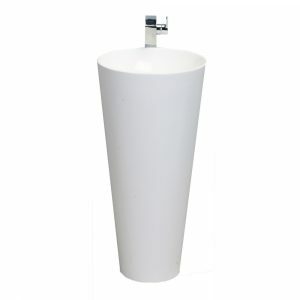 Brighten your bathroom or powder room with the contemporary Eviva Evianna Messina White Pedestal Bathroom Sink with Medicine Cabinet. The sophisticated glossy white pedestal sink has a stylish acrylic finish and single faucet mount. An optional 9 drain cover plate is included. This elegant pedestal sink tapers slightly at the base. What a gorgeous style statement for a main bathroom or master ensuite. 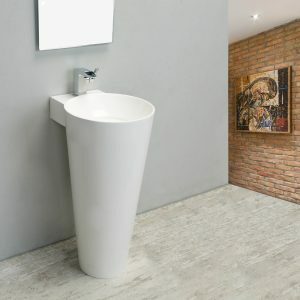 This Eviva Evianna pedestal sink measures 15 7/8 in width.